Spanish (Mediterranean) style homes – This popular home design found its footing in America near the beginning of the 20th century and is commonly found in California and Florida. Its most distinctive feature is by far the tiled roofs, but smooth stucco finishes, iron work and terra cotta ornaments are also commonly found. Both single and two story designs are found in this style. In the Orlando area you will find this type of home closer to the Disney area (South Orlando). 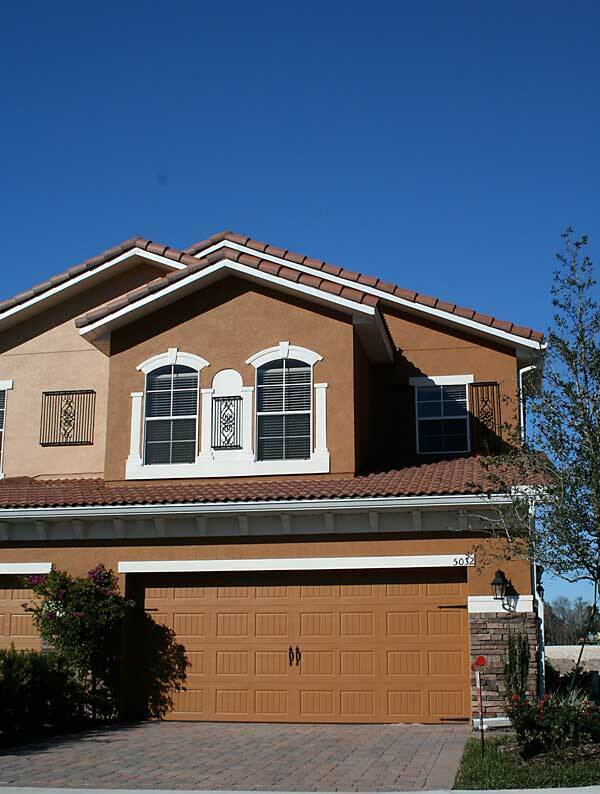 New buyers often expect tile roof homes in the Orlando area, however, this home style is far more popular in South Florida (Miami, Ft. Lauderdale etc.). Keep in mind that those beautiful homes with tile roofs usually are in higher price ranges. Prairie Probably one of the most recognizable but least known is the modern architectural style of the prairie home. Made famous by Frank Lloyd Wright (but designed by many other architects as well) these home feature low pitched roof’s with overhanging eaves and horizontal lines, intended to give the impression that the house could blend into to its surroundings. Later, based on these design concepts the Ranch style home was engineered. 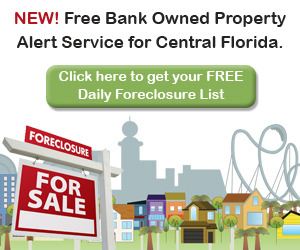 In the Orlando area you will find these unique homes in areas like Longwood and Winter Park. There is not technically a community with the majority of homes being this style, however by driving through communities like Wingfield Reserve in Longwood or The Springs in Longwood you will find some unique home styles. Art Deco Art Deco architecture usually brings to mind south beach Miami, but this design style was actually one of the most influential designs movements of the 20th century and can be found in cities across the USA (and Europe). Emerging as a reaction to the somberness following WW1, this modern style typically features flat roof lines, and utilizes stainless steel, aluminum and lacquer in its finishes. 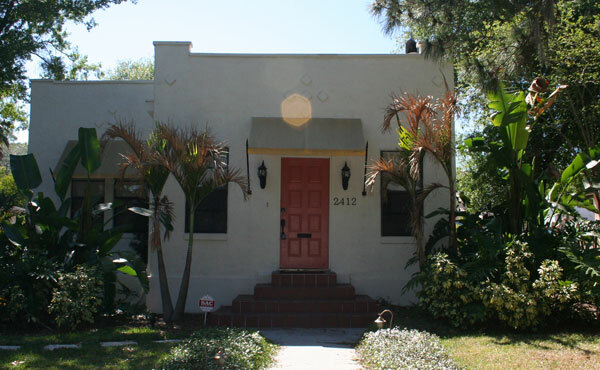 Some homes resembling the art deco style can be found in Winter Park or Sanford FL, however, as mentioned above Miami is the area known for its Art Deco style. Pueblo The Pueblo design style has its roots in the Spanish/Mediterranean architecture of the early 20th century. The main style difference is that the wall joints tend to have a curved or rounded shape to them, rather than being squared off, and often wood beams are exposed through the exterior walls. Driving through the historic residential district of Sanford you will see some samples of Pueblo/Mission style homes. Bungalow The bungalow has a long and interesting history. Originally used as a term to describe a one story thatched roof house in India, the term gained popularity in the USA during the late 19th century. It was during this time, also known as the Arts and Crafts period, when the term began to describe large country homes. Today the term typically refers to a small single story home usually featuring dormer windows and a covered front veranda. 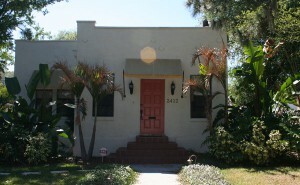 Bungalows can be found in Winter Park, College Park and even Thornton Park. Contemporary- The vast majority of homes in the Central Florida/Orlando area are considered “contemporary”. 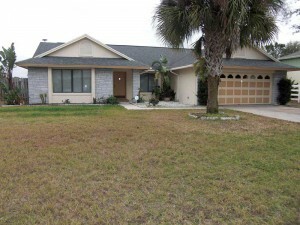 This home style generally has an open floor plan, high or vaulted ceilings, an attached garage and stucco finish. 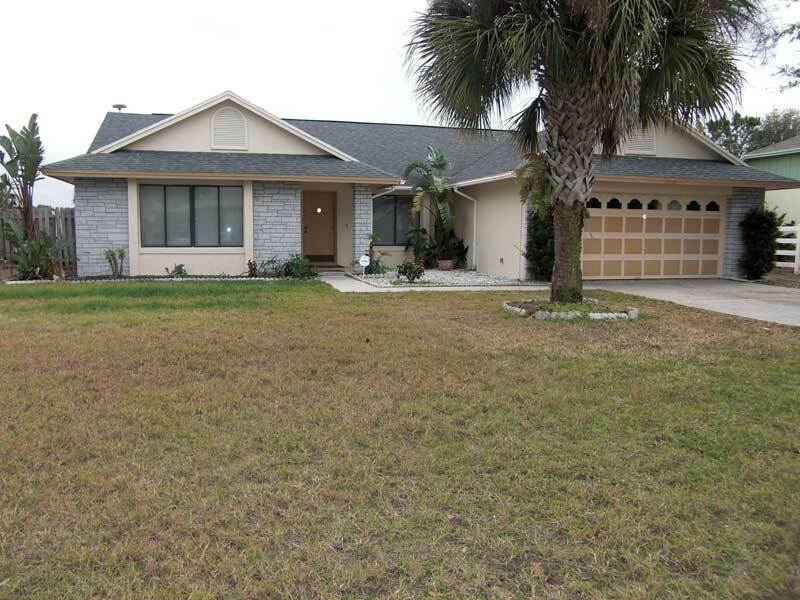 The roof is usually covered in asphalt shingles and (in large part due to the hot and humid Florida climate) the exterior framing is done with concrete blocks instead of wood. When buyers first move to the Orlando area they usually like the contemporary home style since, depending on which area they originally moved from, it is a new style to them. Very soon after that they realize though that this style is prevalent in Central Florida. It takes a lot to customize a contemporary home, also because they are usually located in subdivisions with an HOA that sets rules as to how much you can alternate the exterior of your home. Even a decision as simple as painting your home or putting up a fence can be blocked by the board. 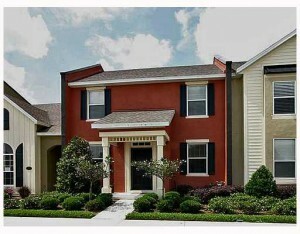 Communities with contemporary homes in Orlando are often referred to as “cookie cutter” communities. Custom Homes – A custom home can be built in any architectural style. The home’s design is usually worked out with the homeowner and the architect/builder. These homes can be built from “stock” floor plans or can be built upon the specifications of the homeowner. Usually it’s a little bit of both, utilizing a “stock” floor plan and customizing it to meet the needs of the client. Custom homes can be found in all of the luxury home communities throughout Central Florida, including Alaqua, Alaqua Lakes, Keenes Pointe, Isleworth and many more. High Rise Condos – Most often high rise condos are found in major city’s where land space is limited. 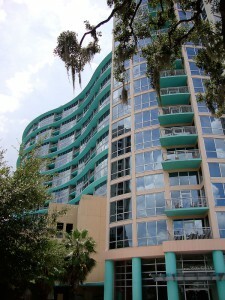 Downtown Orlando has recently built a few high rise condo buildings, including the Vue at Lake Eola. Although the interior of each condo can range in style, the building itself is usually more than 6 stories tall and features mainly a glass exterior. Resort Style Condos – While these usually represent a lifestyle rather than an architectural design difference, they typically borrow their styling from major vacation resorts. Most often these have a Mediterranean feel and design with tiled roofs. But the most distinctive aspect of these homes is in the amenities not the design. Usually they are located on a golf course with 2 or more pools as well as a community activity center, gym and clubhouse. 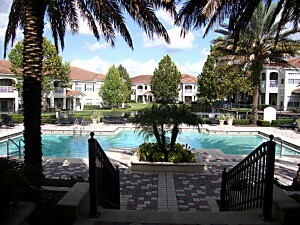 Resort Style condo communities can be found throughout the Orlando area. Since Orlando is considered a vacation place by most of the rest of the world this is one of the styles of housing one might expect to be prevalent in Central Florida. 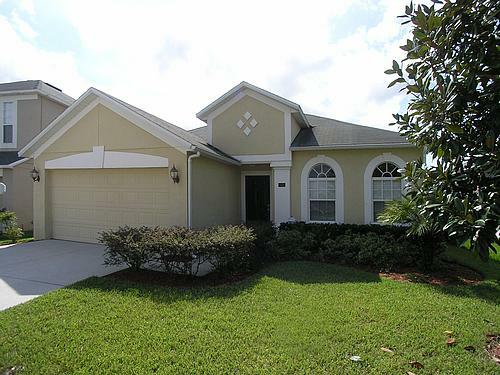 Areas with a higher density of these communities are located closer to the Disney and attractions area. Some of these communties are zoned for short term rentals and used by tourists who want to stay an extended period of time. Metro West is an area with many communities like these, however you will even find resort style condos in the Lake Mary and Sanford area with complexes like Notting Hill and Arbor Lakes (see image). TownHomes – Townhome communities can come in a variety of design and architectural styles. Most townhomes have one or more shared exterior wall, but typically no one above or below them. Many townhome communities feature contemporary design styles, but a new trend in the Central Florida area has been a Victorian or Colonial townhome design giving the community an old town feel. Tudor style – Tudor style homes are so named, because they were the prevalent architectural design used during the reign of the British Tudor monarchs (1485-1603). They have a distinguished and unique appearance featuring decorative timbering, steeply pitched roofs and tall narrow windows. There are not many Tudor style homes in the Orlando area. However, other than in custom homes, this highly desirable (because unique) home style can be found in a few communities that were built by Toll Brohters (a builder well known for their Tudor style houses). Four square – The quintessential American house, the four square almost seems to define American home architecture. The four square gained popularity in the early 20th century as an efficient way to use small pieces of city land. A Four Square home is typically designed as a 2 level simple box shaped home with a 4 room design. Although many of these homes have been altered by past owners throughout the years, the exterior generally features a full length porch with wide stairs. 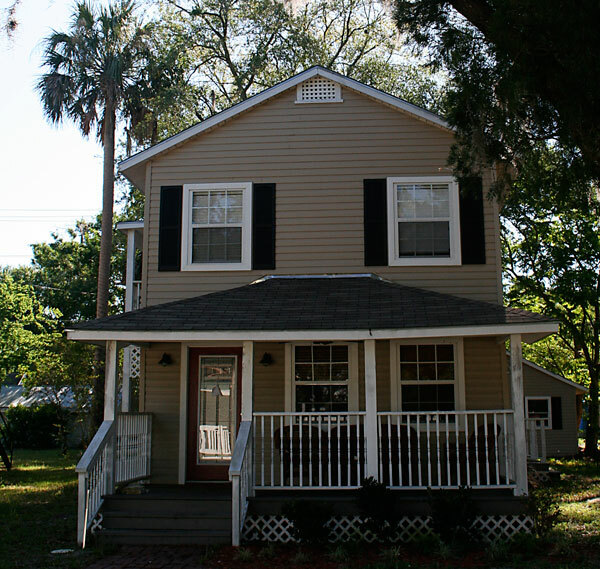 Four Square homes can be found in the historic cities within the Orlando area including Sanford, Winter Park, and downtown Orlando. Cape Cod – As the name suggests this style of home was originally built in Cape Cod MA, during the early part of the 18th century. It was an economical shelter solution to the blustery New England weather. In the 1930’s this home design regained popularity and became the first “tract” homes in the newly developed suburbs. It most distinctive feature tends to be the clap board or shingled exterior walls, shuttered windows and second story dormer windows. 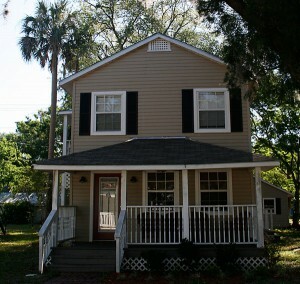 Cape Cod style homes can be found in Winter Park. Craftsman – The craftsman home was derived from the arts and crafts movement of the late 19th century. It features a strong emphasis on natural products and craftsmanship, usually having stone chimneys and porch supports built-in cabinetry, seating and book cases as well as beamed ceilings. 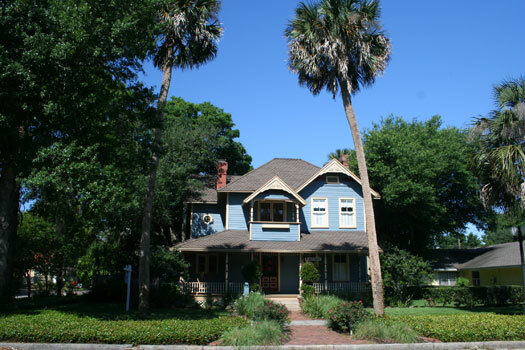 Craftsman style homes can be found in Winter Park. Colonial – The colonial style home came into existence based on need rather than a new form of architecture. As families grew during the 18th century many of their cape cod styled homes grew with them. Out of this expansion came the Colonial. An American Colonial home usually has 2 levels and is very symmetrical (much like the Cape Cod) with the front door centered and windows arranged evenly along the façade. Function and practicality are the driving force behind this home style, but throughout the years some embellishments have been made and many now feature grand columns, elaborate decking, and dormer windows. 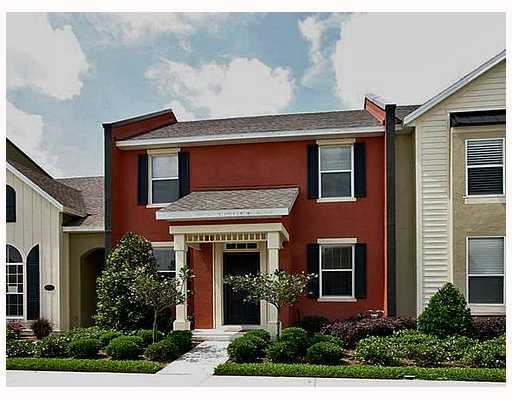 Colonial style homes (of course imitation, not originals) in the Orlando can be found mostly in the town home sections of communities like Baldwin Park, Victoria Park or Avalon Park. Other than that this style can be found in many areas with custom homes including Winter Park or Altamonte Springs. Victorian – Although many people imagine a doll house or gingerbread house when thinking of Victorian homes, the truth is that a Victorian Home is any home that was built during the Victorian period (1840-1900). During this time of industrialization many new techniques and innovations became available to builders and they were eager to test them out. The end result was often an overly embellished home, each with their own unique character. Victorian homes can be found in the historic district of Sanford or Winter Park. Ranch – After WWII and during the Baby Boom, affordable housing was needed en-masse. The result was a variation on the Pairie and Bungalow design with an emphasis on simplicity. Since then, the ranch has been re-invented several times. Sometimes being built as a split level or raised level, but still maintaining its simple floor plan, rambling lay out and attached garage. Contemporary ranches also sometimes borrow features from other designs, such as the Spanish design, most often seen in ranch homes, built in the early 1980s. 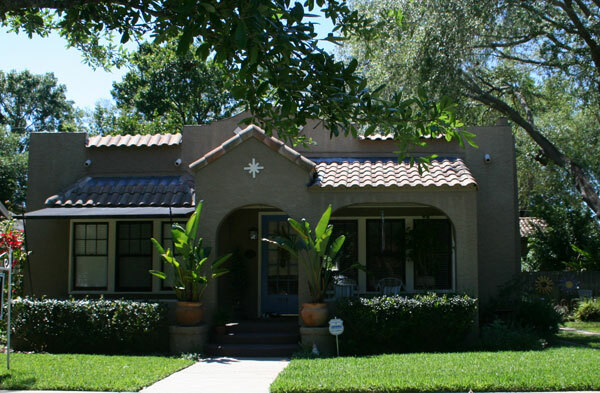 Ranch style homes can be found throughout the entire Orlando area. Just like the contemporary home style reigned in the 1990s and 2000s, Ranch style homes were popular before that, as mentioned above. The Crossings in Lake Mary or Hidden Lake in Sanford are neighborhoods with Ranch style homes in Seminole County.